2// The park we visited in that vlog is really well maintained and so pretty. 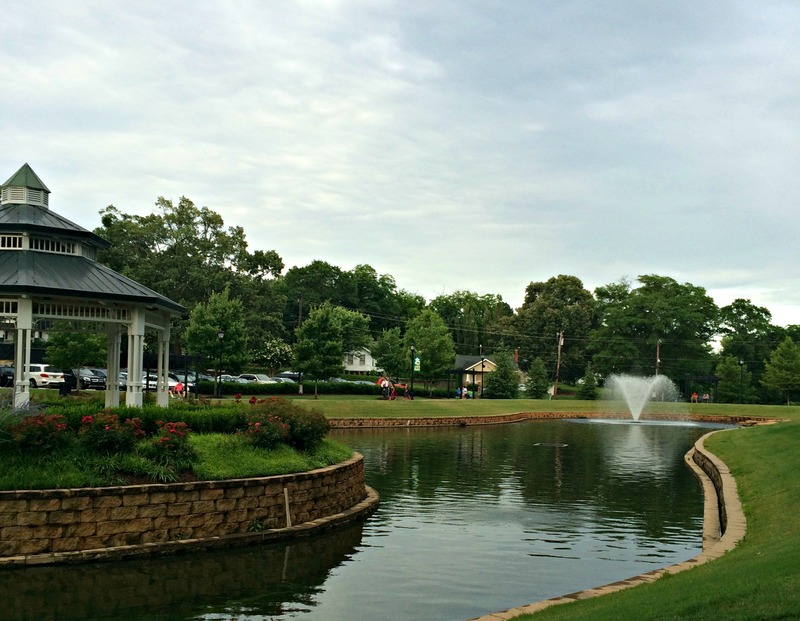 We sat on a swing and enjoyed the view of this pond and fountain. There was a wedding on the other side of the park, and it was fun to watch the festivities from a distance! 3// It has been so HOT this week. I need two cups of coffee to get going in the morning, but I just can’t bring myself to down all that hot liquid when it’s already 85 degrees at breakfast. Iced coffee to the rescue! I love using plastic ice cubes to keep it the coffee from getting watered down while it cools. 5// Have to say Happy Father’s Day to my dad (who is a faithful reader, bless his heart) and Happy Anniversary to my parents! 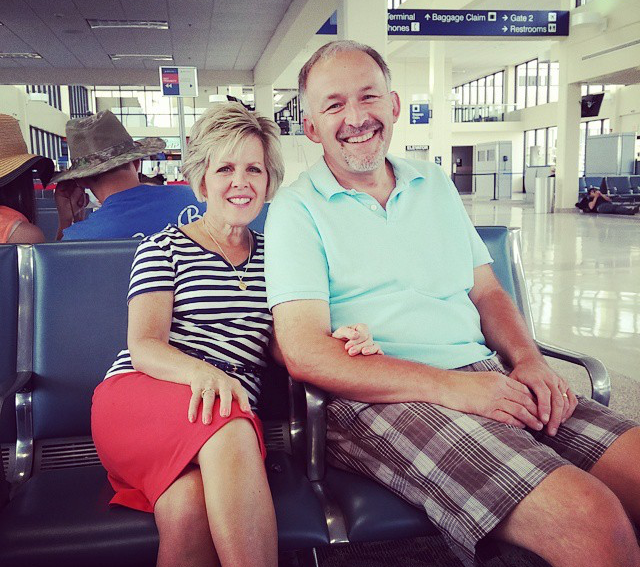 They are celebrating their 34th anniversary on Saturday. Aren’t they so cute? 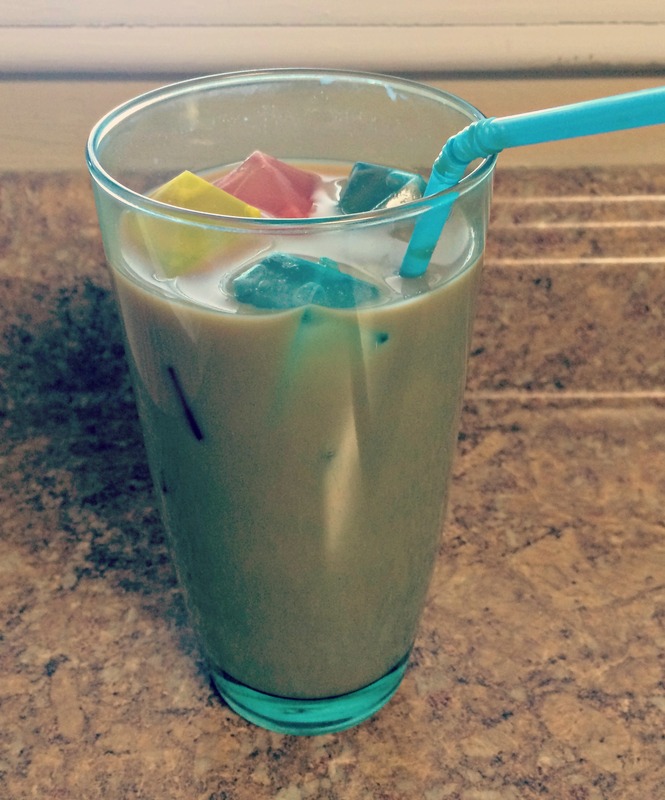 I prefer iced coffee year round and the plastic cubes are awesome! Happy Anniversary to your parents! Yay for Twitter! Twitter is still sort of a mystery to me… Instagram is so much easier to grasp. HA! I’m slowly but surely catching up on your vlogs, but the one with Paul is so great! My favorite so far! I love his little wave in the beginning and his corn song just made me laugh so hard!!! And “….somthing’s biting me….” HAHA! I LOVED this vlog! And you so sound like me – in the summer time we rarely make it outside. It’s so icky and hot!! Hope you’re having a great weekend! The vlogs with Paul are my favorite too! Thanks for watching! Thank you, Colleen! It’s been fun to film them. I could talk about food forever. Haha! Happy anniversary to your parents! Your blogs are great! Have a fantastic weekend! Thank you so much, Ashley! Hope your weekend is fabulous! Thanks, Seri! Vlogging is fun – give it a try! Whitney, if you like iced coffee, try the recipe I will send you on Pinterest. You cold brew the coffee then make this AMAZING cream to add in. Scrumptious! Thank you! I’ve been looking at cold brew recipes but haven’t tried one yet. I will definitely give this one a go! I follow you on Instagram but I have not gotten into Tweeting!! Happy Anniversary to your parents!! They are cute! !